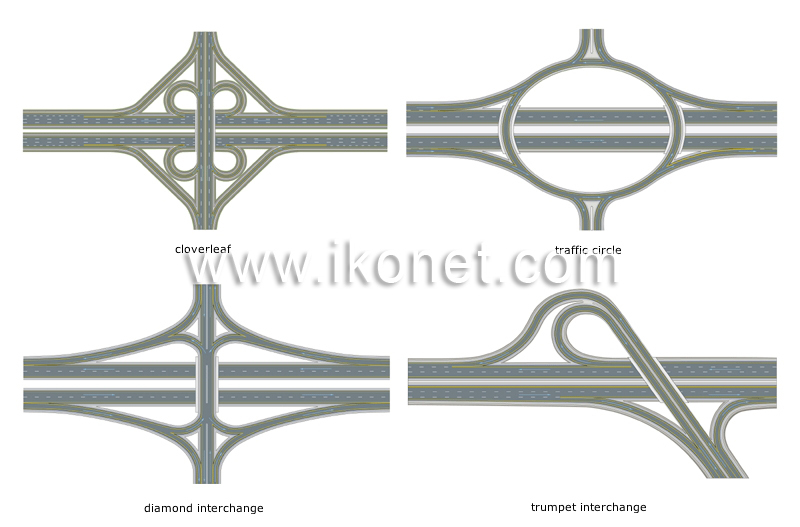 Interchange: structure linking roads or freeways so they do not intersect. Interchange connecting a road ending at a freeway, using only one loop. Interchange connecting a road and a freeway, requiring traffic lights for left turns onto and off the road or overpass. Interchange composed of four ramps joining each other to form a circular one-way thoroughfare. Interchange with four branches where the inside loops are for turning left and the direct links for turning right.